This statistic shows the results of a survey conducted in the United States in March 2017. U.S. health care workers were asked if they could imagine using apps for self-diagnosis. 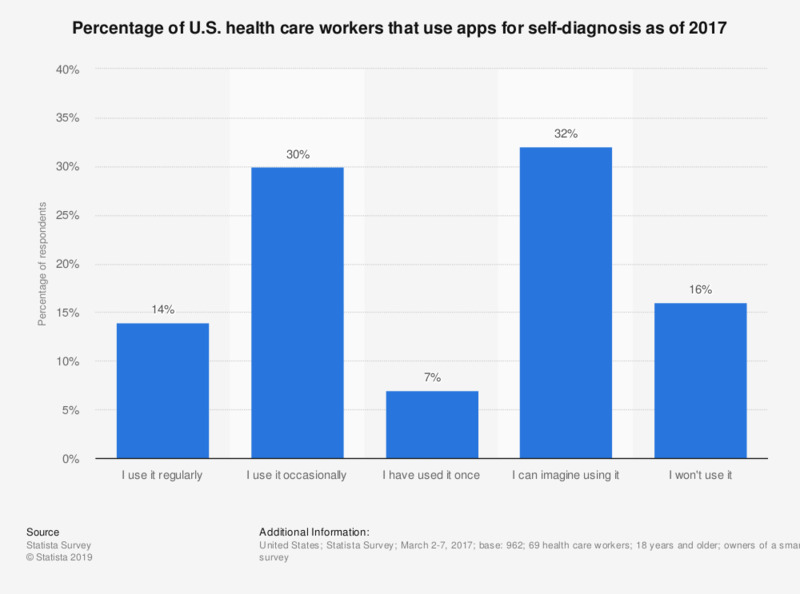 In total, 14 percent of health care workers stated that they regularly use an app to self-diagnose their illness. Original question: "The following is a selection of different e-health apps for smartphones and tablets. Could you imagine using any of them? [ answers for: apps for self-diagnosis (e.g. Medscape, WebMD, iTriage Heath)]"